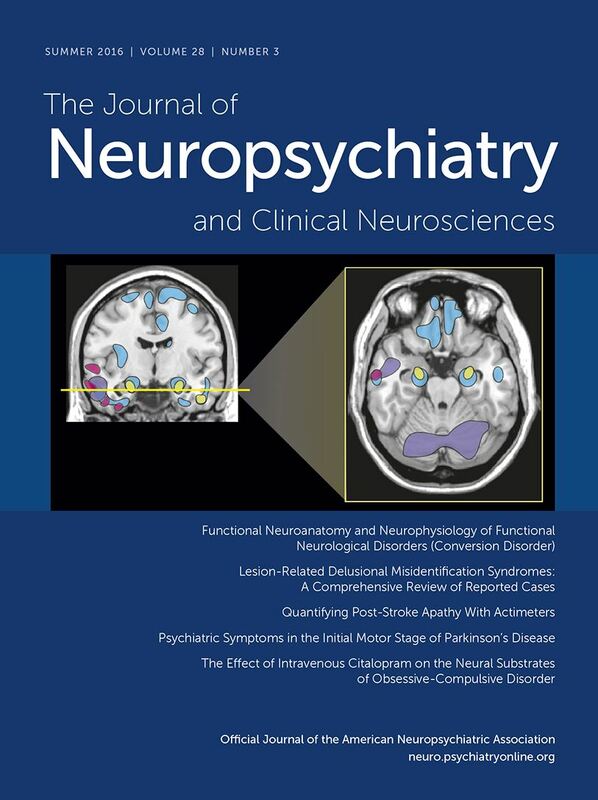 As the official Journal of the ANPA, the premier national organization of clinicians and investigators in the interdisciplinary areas of neuropsychiatry, behavioral neurology, neuropsychology, and the cognitive neurosciences, the Journal of Neuropsychiatry and Clinical Neurosciences (JNCN) is dedicated to publishing the work of renowned researchers, clinicians, and educators to advance the care of patients. The Journal publishes peer-reviewed articles addressing critical subjects such as Alzheimer's disease, traumatic brain injury, Parkinson's disease, epilepsy, and seizure disorders, and is devoted to reporting discoveries in clinical neuroscience that are relevant to understanding the brain-based disorders of patients. The journal features original articles, concisely written clinical and research reports, perspectives on emerging trends in the field, and classic pieces from the field's rich history, and each issue gets started with the signature section "Windows to the Brain." N.B. ANPA Members receive a complimentary subscription to the Journal.